2017, to say the least, was one of the worst years of my life. I tragically lost my wife and best friend, dealt with some hidden pain, and challenged more than ever in my walk with Christ. 2017 also had some great high points. I was part of 2 great Conferences, watched my children spread their wings and fly the nest, took an awesome road trip with my daughter, and felt God’s Presense more than ever before. I am truly blessed with great friends and family who have walke with me through both the highs and lows. The spiritual journey of any individual is indeed personal. The way we achieve spiritual growth depends on what we want to gain from the experience. Transformation is the process of becoming more like Christ in all areas of our lives. As we grow in our understanding of God’s Word and in our relationship with Christ, we will in turn be set apart for God’s purposes. The fruit of the Spirit will be evident in our life, and God will continue to mold us into the image of His Son. I believe that in order to grow to become like Christ, we must develop habits that will follow us for life. We must begin by spending time with Him daily — not just a passing thought as we rush out the door in the morning. We must spend quality time with Him. We must develop relationships with people who can keep us accountable in our Christian journey. We need to study and memorize Scripture, practice tithing by getting involved in a local church body. If we begin by developing theses habits, then we will see true spiritual growth. God created us for relationships. We were made to be connected with each other. Starting new relationships and keeping them takes a lot of work and practice. We must first begin with our relationship with Christ. Our hearts must be where God can speak to us clearly. We continually must perform a heart check. Paul lists three things that will help open the eyes of our hearts: light, power and authority. God is light. He will illuminate our hearts and begin to show us who we really are. In light of God’s holiness, we see our sinfulness. This helps us see the greatness of the gift He gave us on the cross. The light points to our sin which needs to be dealt with. The light points us to the cross and in turn should breed a spirit of gratitude and worship. We also have power. We have been given eternal life. We have lost the meaning of this concept. Eternal life is not the ability to live forever. Eternal life is the very life that was in Christ. God is the only eternal being. He has no beginning and no end. The life He gives us is the very life force that was in Jesus. God cannot be any closer to us. He is closer than our front teeth. We also have authority to live and make decisions by the help of the Holy Spirit. After the Fall, man was unable to make right choices consistently. Man was a sinful being. Once we accept Christ, we have the ability to make the right choices. We have authority over Satan and sin. Our sin debt was cancelled, and it has no power over us anymore. If we truly understand these three things, our identity can be found in Christ. Apart from Christ, our identity is skewed. We live and breathe by the grace of God. He gives our lives meaning and purpose. When we follow Him, we are free to be who He created us to be. In Sacred Pathways, Thomas looks at several paths that people journey on as they connect with God. Most of the pathways align with our unique personality. God has wired us a certain way, thus we each connect with Him in a unique way. As we connect with God, we undergo a moral reformation of character, brought about by the power of the truth. It is the work of the Holy Spirit bringing our lives more and more under the influences of the new principles placed in the soul at salvation. In other words, the way we connect to God facilitates the process of perfecting the work begun at salvation, and it extends to the whole person. It is the special function of the Holy Spirit in the plan of redemption to carry on this work. Faith is instrumental in how we connect with God. It secures union to Christ and brings the believer into living contact with the truth, where he or she is led to yield to obedience and to embrace the promises of God for this life and that which is to come. After reading Sacred Pathways, I realized the Contemplative Path is really the building block for the other paths that were discussed. For us to be able to connect with God, we must think and contemplate about this God with whom we are trying to connect. This idea of contemplation is the basic DNA from which the other paths build extend. This patht is foundational. I feel that we have not really put enough emphasis on the contemplative process. We plan our services, Bible studies and small groups around a curriculum that focuses on facts and intellectual knowledge, but leaves very little room for people to sit in silence and contemplate who God is. We have a created an entire culture that worships a God very few have taken the time to get to know. One thing I have tried to do in our student ministry is intentionally create some time for students to connect with God and hear from Him on a new level. I have implemented in youth worship services a contemplative prayer service. Students go from station to station as music plays. They participate in the service by interacting with what is written on the signs. These services have been very meaningful for our students. Many for the first time felt as if they connected with God. I believe we need to create environments such as this because we can be about the busy work of ministry and forget to help people, or even ourselves, connect with the God we serve. As we grow in our relationship with God, we develop convictions based on our beliefs. If we are truly walking with God and have a healthy growing relationship with Him, our convictions will be based on the Word of God. Once we begin to compromise and mix the philosophy of the world into our faith, our convictions are weakened. In order to truly experience a growth toward holiness, we must know and make God’s conviction our own. We must know Him so well that we should not have to think before we make a decision. Our convictions influence our choices. Each choice we make either brings us closer to God or drives us further away from Him. As Christians, we need to seek God’s will in every choice we make no matter how trivial we think it might be. God has a plan and purpose for our lives. One wrong choice can alter the plan and blessing He wants to give us. We must consider every choice a life altering decision. Many Christians believe they are better able to discipline themselves, God’s grace becomes available to them. Actually the opposite is true. It is God’s grace that gives us the ability to discipline ourselves. As we become more dependent on God to empower us in these areas of discipline, and then apply the grace God gives us, then we will mature as Christians. In order to truly experience God’s grace we must be disciplined in the area of obedience. Jesus told His disciples that “if you love Me, you will keep My commandments. Jesus also expounded on this by telling us in Matthew 22:36-40 that the greatest commandment is to love God with all that we are: mind, body heart. We need to be ever alert and cautious as we live our lives. We must be willing to move fast when God calls us to obey. Too many of us are content to live on cruise control and watch the world pass. Obedience requires fast action, almost an involuntary response to God’s call. We must also be dependent on God in order to experience the fullness of His grace. Dependence must be accompanied by discipline. Just as an airplane needs both wings to fly, we need discipline and dependence to soar to the heights of God’s amazing grace. Once we truly acknowledge our utter dependence on God and take ourselves out of the picture, then and only then will our lives be open to God’s leading and direction. Commitment plays a big role in a pursuit of holiness and grace. First, we need to be committed to living a life that is pleasing to God. It must be a resolute commitment. Commitment is a choice. Whatever plan of action we take in our Christian lives speaks to our commitment level. If we are striving to live a life free of sin, we must be committed to the example left for us by Jesus and God’s Word. In order to truly understand God’s grace, we must search our hearts and see how committed we are to the cause of Christ. If we are not willing to fully commit by giving control of our lives to Christ, how can we expect others to do the same? 2017 can be some up with a simple song. Over the last few months, I have been practicing what I call the Sacred Act of Reminisance. God has flooded my mind with his promises, some great memories, and taught me so much. Music has alway been a big part of my life. Starting January 1st, I will be sharing a thought and truth of what God has taught me each day. So that will 365 distinct promise and memories that I think will help you as much as it has helped me. Each thought will include a song that sums up what God wants to communicate to us. The song that sums up 2017 is below. Please plan to join me on this incredible journey by subscribing to my blog. In 2018, the best is yet to come!!! Happy New Year and God Bless!!! Over 10 years ago, God burdened my heart to help students and youth pastors develop a Missional Focus as they reach students in their community. So I began to ponder these two questions, “What does it mean to be fully alive?} 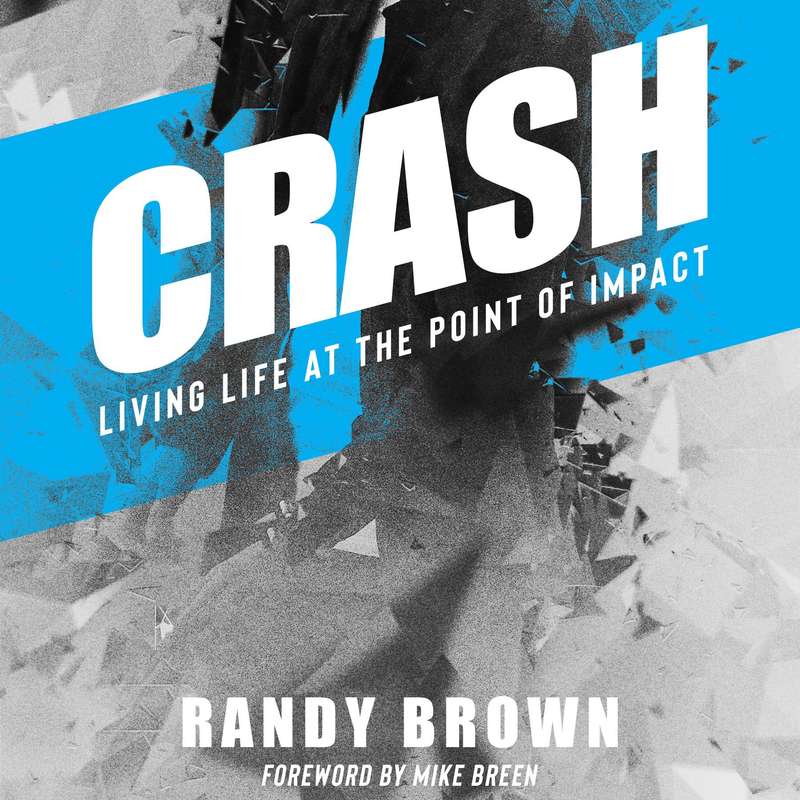 What does God want to communicate from the Cross?” Crash: Living Life at the Point of Impact is an eye-opening journey that stresses the importance of living life right in the middle of where God is working. The point of impact of any crash is where the most force and change occur. It is the same way with our relationship with Christ. Christ’s death on the cross was the point of impact that changed the world. The core message is to equip students with the tools to live a life that functions at “the point of impact” with a personal Savior who wants to give us an abundant life which in turn impacts the people and community in which we live. The people Jesus impacted were changed by an inevitable crash course that would change the way man would connect with God forever. If you are tired of just existing and want to be “fully alive”, come along with me on this journey of discovery as we seek to live life at the “point of impact”. In order to make a radical impact, we must: • Understand the “impact” of true intimacy with Christ. • Discover that our identity is determined by the “point of impact” with Christ. • Discover our God Given Mission to Fulfill • Realize that our Perspective will directly affect our Impact. • Grasp that our Attitude can greatly affect the intensity and effectiveness of our Impact. • Discover that an “impact” with Christ will determine the trajectory of our life • Develop a desire to leave traces of this “impact” for other to follow. Randy’s heartbeat is to relay Biblical Truth to a generation seeking relevant Christianity in today’s world. With a culturally relevant style, Randy shows the importance of understanding God’s Word so that we may show God’s love to an unbelieving world. When the Bible seems complex to understand, Randy shares real-life examples to teach teenagers, parents, and youth leaders how to focus on Jesus, and show Christ-like love to everyone around them in to live “Life at the Point of Impact”!